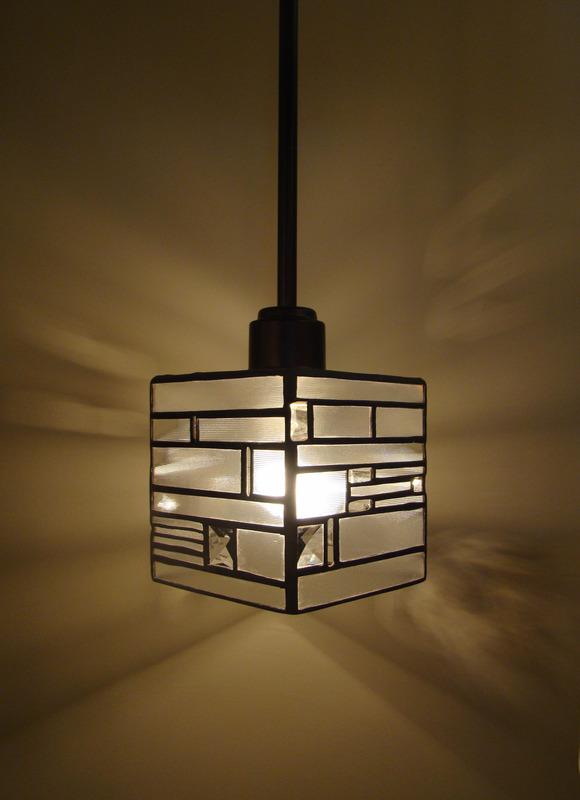 To customize your lighting desires we purchase CSA approved fixtures. Often inexpensive, uninteresting and lifeless... we replace the shade with a unique Lorisdawn design, and you have captivated charm and glamour. Mini-pendants are a perfect statement in any room. They look fantastic hung in groupings over the kitchen island, either side of the bathroom vanity, or bed, or hung singly over a desk or table. I've been working on a few shapes, and am excited to create more, I'm crazy about these little lights. 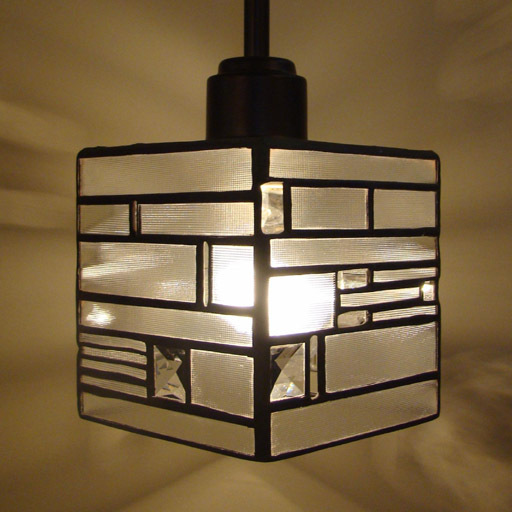 4-1/2" square mini-pendant is layered with slightly opaque glass and each side and top has a 1" square cut crystal.